The Arkay S5E was sold as a kit between 1946 to the mid-sixties. 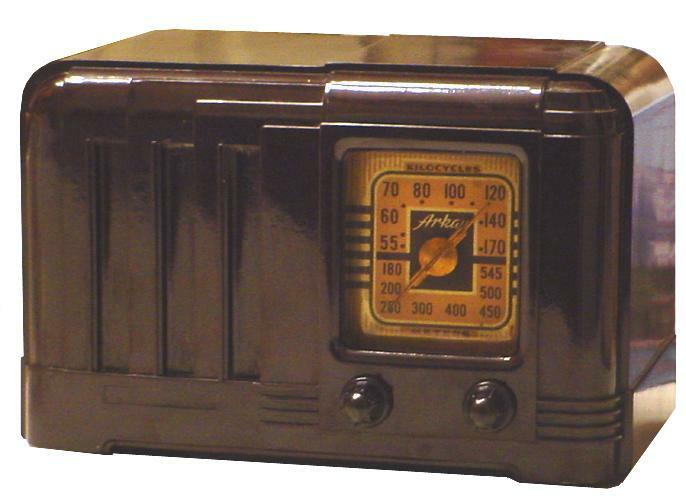 Around 2005, someone at a VRPS meet gave me a nice chassis of an AA5 (All-American 5 tube) radio without the cabinet. I suspect the chassis was an Arkay S5E because of the kit-like assembly quality and the dial scale is the same as the Arkay. The chassis was stripped down and cleaned. Each individual component (tuning capacitor, I.F. cans, speaker, transformer, etc.) were added one at a time as the whole radio was rebuilt and rewired from ground up using a generic AA5 schematic. 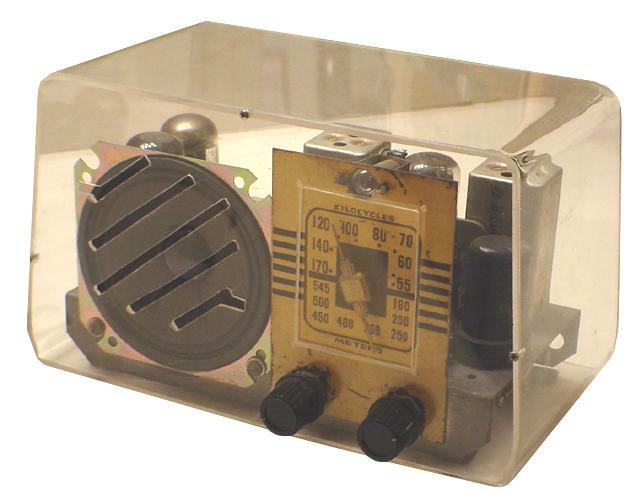 A case was constructed of clear plexiglass so one could see the radio's inner workings and to see the tubes actually glow! Below is a photo of an example Arkay S5E in the factory supplied Bakelite cabinet.